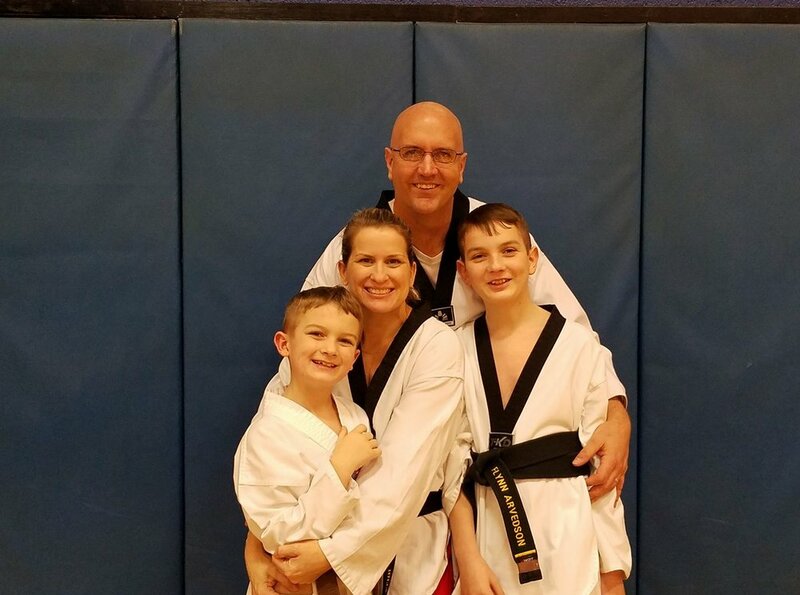 At Sunset Tae Kwon Do, we teach the Korean martial art of Tae Kwon Do to children, teens, adults and families in the Greater Watertown, NY Area. ... is to build a foundation for our students to have a strong moral compass necessary to lead confident and contributing lives as individuals in the society in which we live. We teach strength, honor and respect. Every student that strengthens their mind, body and spirit develops a deep respect for themselves and others. We provide a challenging environment which allow each student to realize their potential. This enables them to approach life and confront obstacles without fear and succeed while maintaining the highest standards of excellence and ethics. Humility is our strength, Respect is our philosophy and Tae Kwon Do is our art.